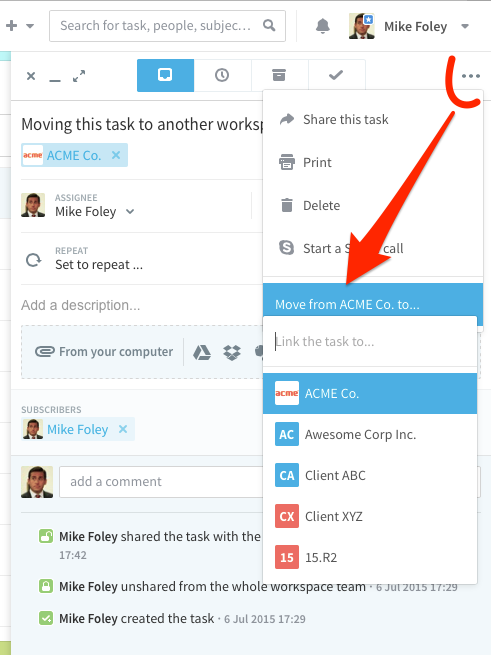 How to move a task from one workspace to another? How to change the workspace of a task? Sometimes a task is not on the right workspace, or needs to be moved to another one.